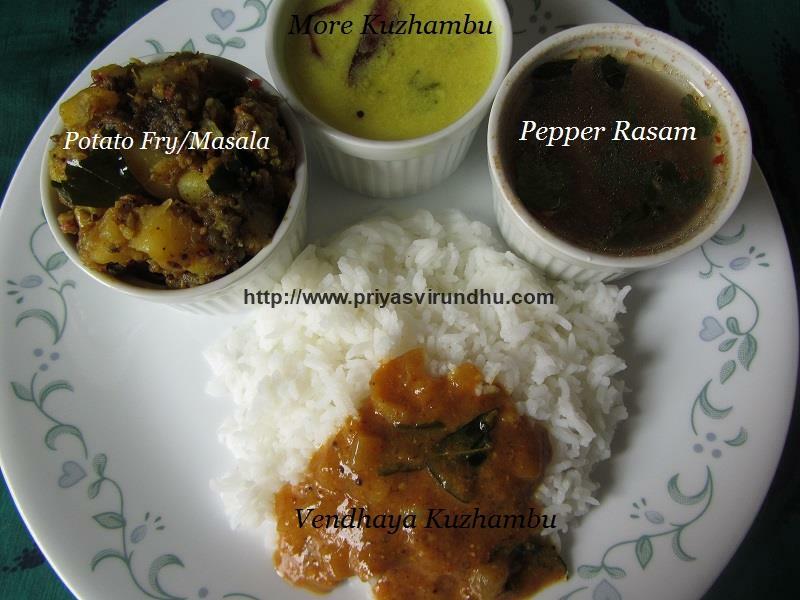 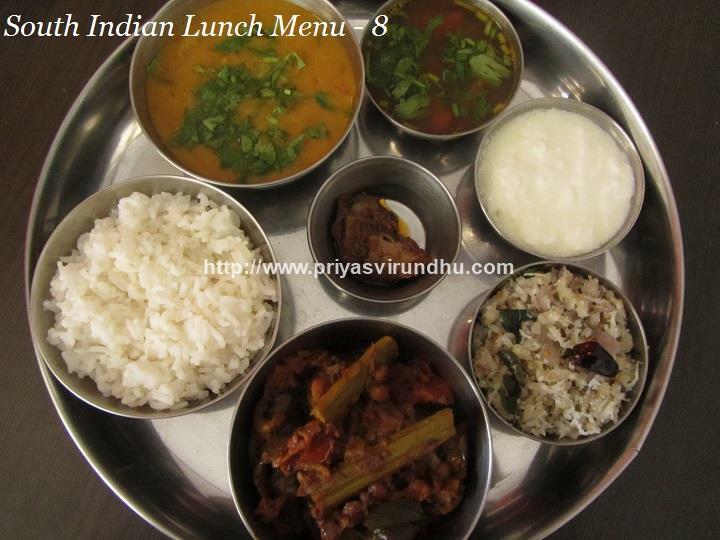 Today, I am going to share a very simple and healthy vegetarian lunch menu.Please check out this simple and filling lunch menu, try it out and post your comments. 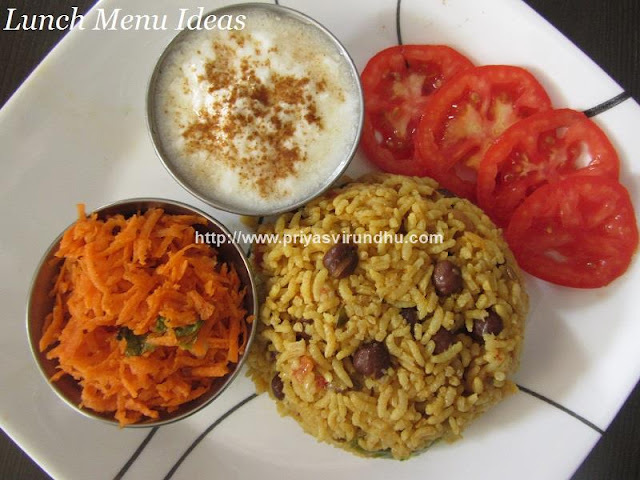 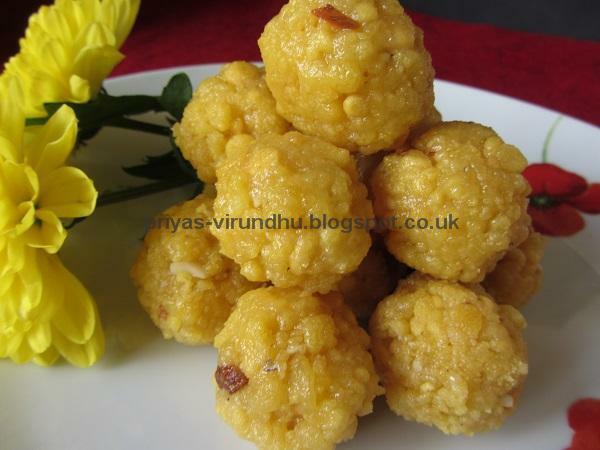 Mean while do not forget to check out interesting other lunch menu ideas here. 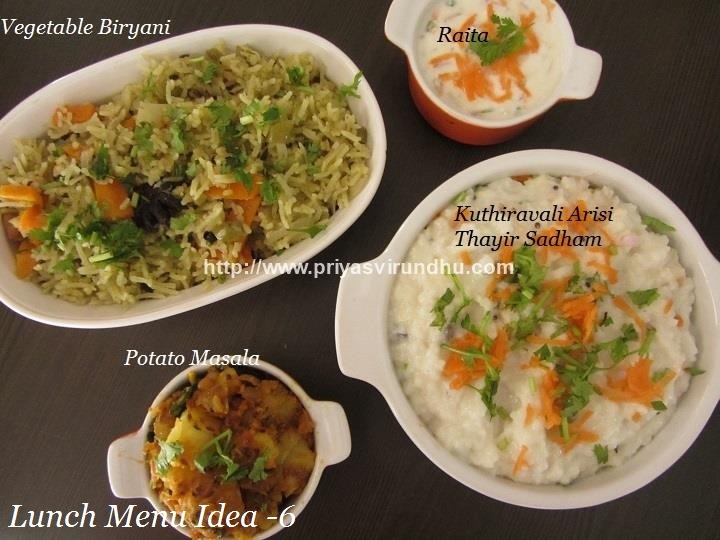 Thinking of what to cook every day for each meal is very big task. So I have already posted some simple and elegant lunch menus earlier. 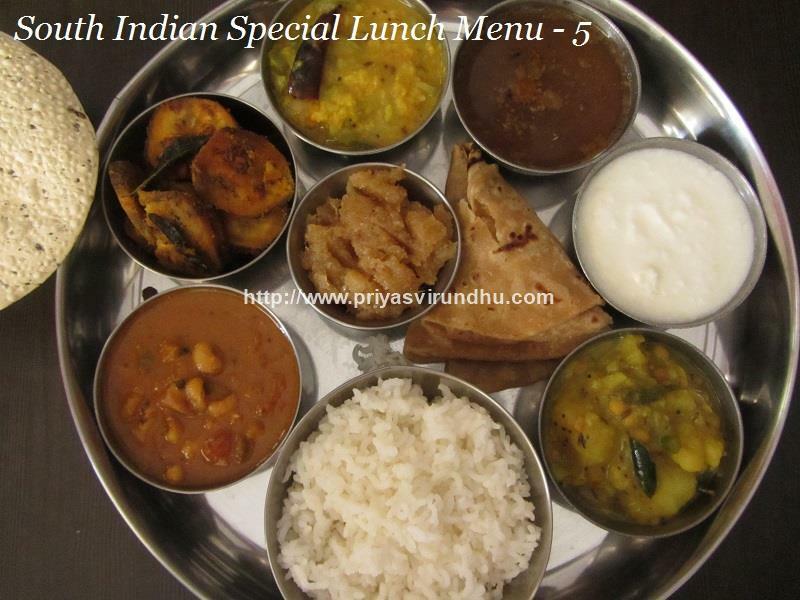 But if you really want to have a special thali for lunch then you should surely read today post. 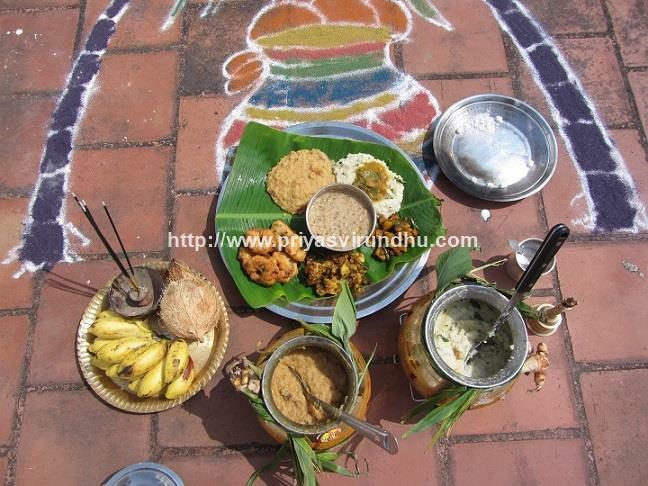 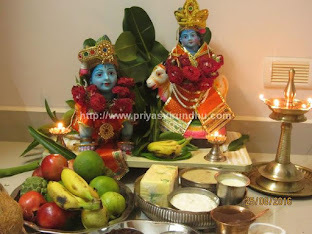 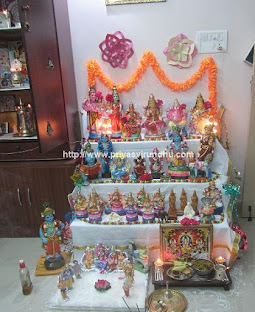 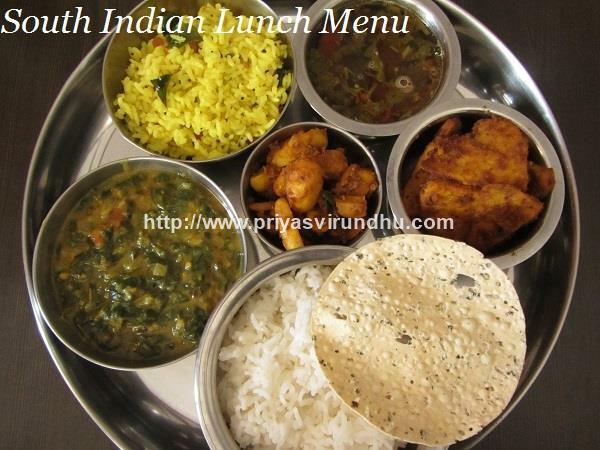 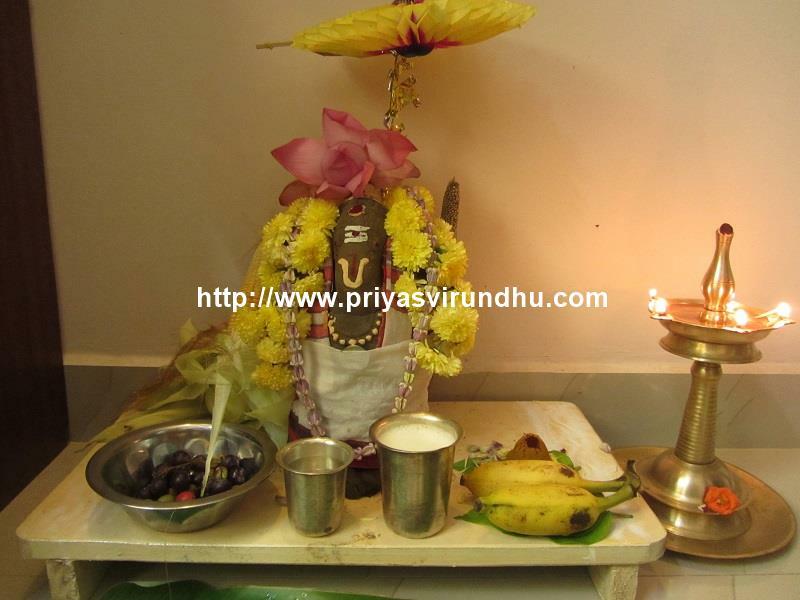 It is South Indian Vegetarian Special Thali and I have given links for all the recipes also. 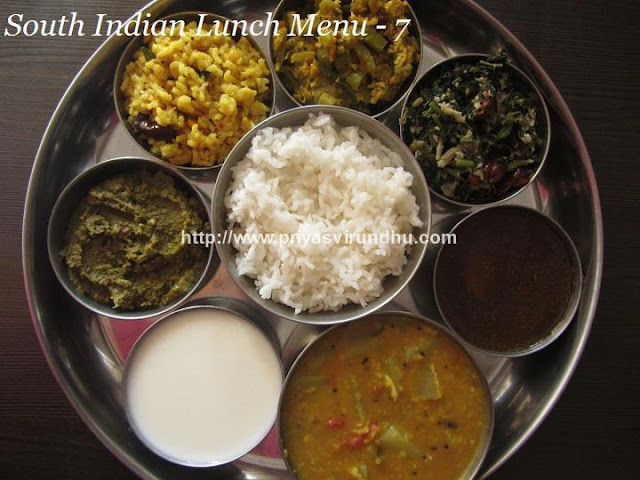 Please check out the lunch menu, try it out and post your comments. Mean while do not forget to check out other lunch menu ideas here.